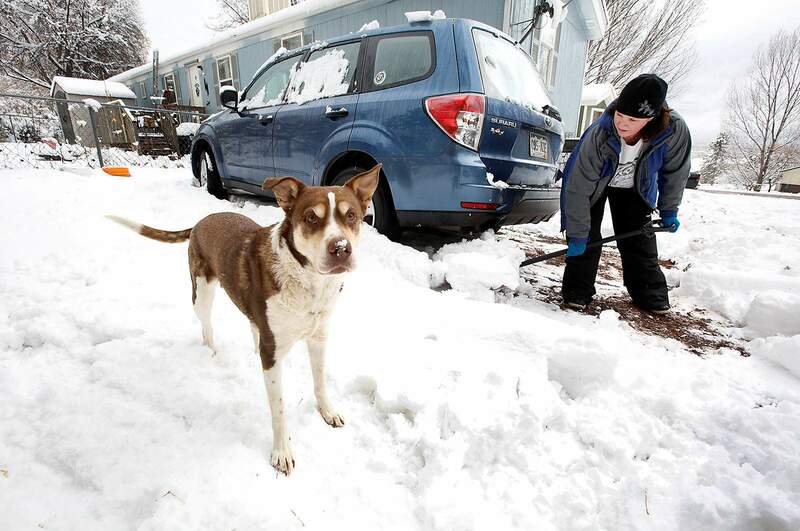 Kirsten Craig shovels her driveway while her dog, Sugar Magnolia, plays in fresh snow that fell Monday and Tuesday near Hermosa. 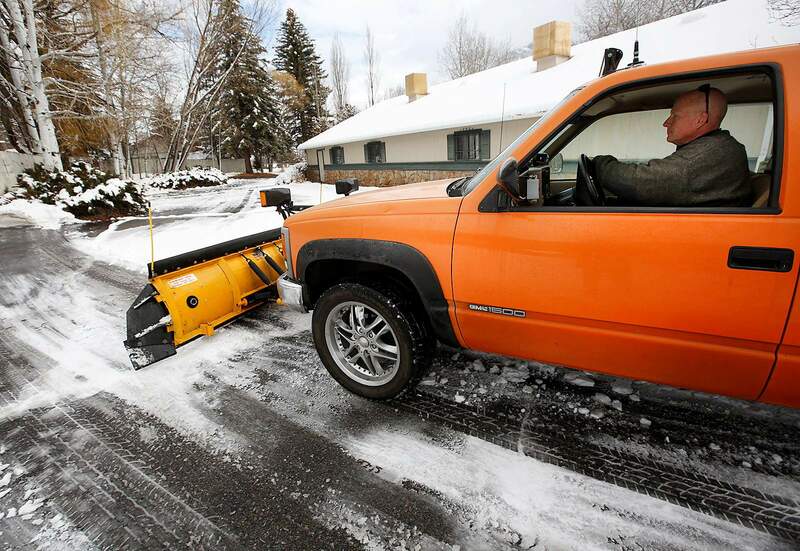 Durango received 5 to 7 inches from the storm, according to the National Weather Service in Grand Junction. Another storm is expected to arrive Wednesday night, which will bring a mix of rain and snow until 2 a.m. Thursday. Forecasters said there’s a 50 percent chance of moisture Thursday, with up to an inch of snow in town. John Riebau, who recently took the snow tires off his truck, had to use his regular tires to plow snow for one of his 23 clients Tuesday on County Road 203, north of Durango. 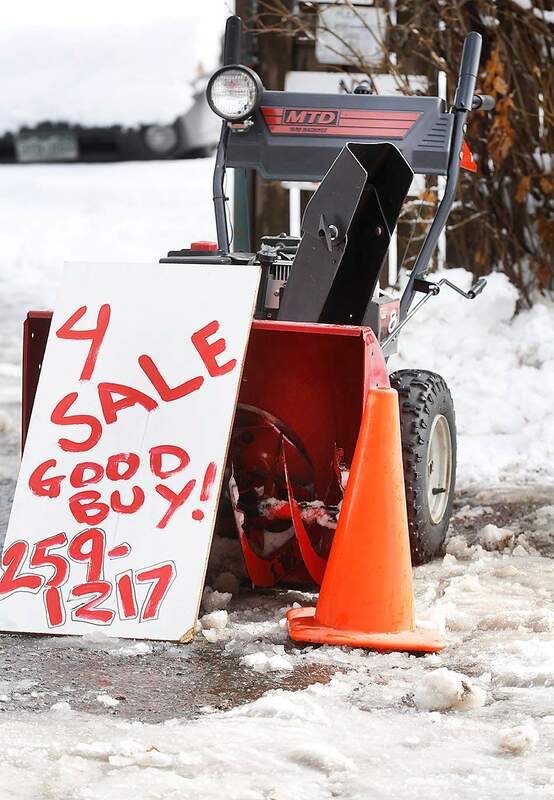 Fresh snow this week in La Plata County may help this snowblower sale a little more quickly. 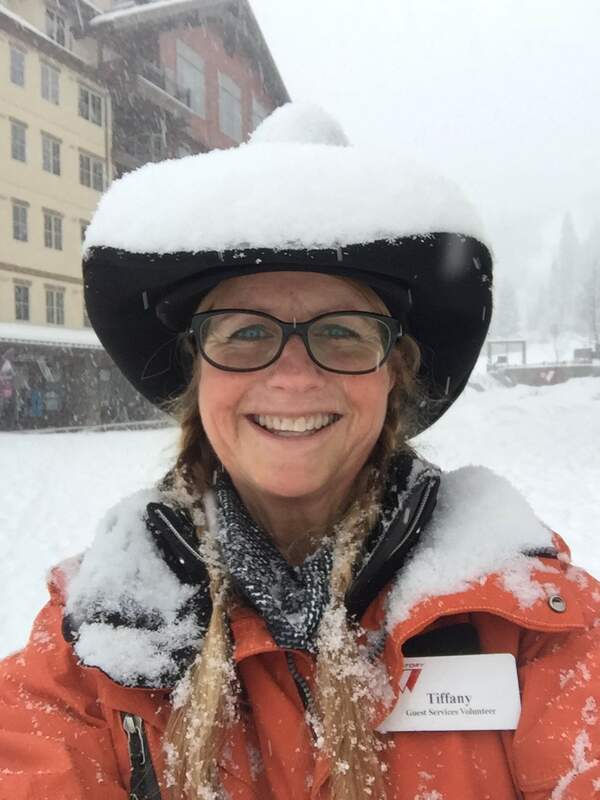 Tiffany Phillips, a volunteer for guest services at Purgatory Resort, stood outside greeting customers for a couple of hours Monday wearing her cowboy hat, which collected at least 2 inches of snow during that time.